Parking could be challenging. Try up front first. The Media Center is as you come in the main entrance. Support our teachers by giving them the very best tools possible so teachers and students can achieve the very best possible education. They became a 1-1 district by doing everything wrong the first time. They started out by giving all the 5th graders a Netbook. They provided no training for teachers. 5 people team for a year researching districts around the country to figure out what kind of a 1 to 1 district they want. This is how they decided to most important was to provide good digital curriculum for the teachers so they did not have to come up with it themselves. They made a fluid agreement with Pearson but they were not exclusive. They dated other people! Job-embedded PD was so important they told the school board they didn't want to do the 1-1 conversion unless they could do ongoing PD. Digital Instructional Coach - 1 coach for every 40 teachers - they spend significant time in the schools. Educational Emergency with Technology - Need someone in the building that can help them. Onsite emergency backup. They wanted to choose their devices not have the grant choose for them. They involved committees of teachers and technology department people. Brett - Devices, Netbooks to Timpanogas 5th and 6th, Rocky Mt. Acer Table touchscreen, Wasatch Lenovo Think Pads. The Netbooks are in their 5th year and need to be replaces. K-4 does not take the device home. Students turn them in the summer time. They will probably replace them with the Thinkpads (that can also be tablets). They like the idea of a computer rather than an iPad. They have fiber to every school in the district. Turned out that the filters weren't big enough so they had connectivity errors. Connectivity was an issue at first but now things are running pretty smoothly. Depth of Knowledge chart provided by state office. The devices have really helped move the kids up the depth of knowledge chart. Canvas has made them more efficient cause they can teach digitally to each student. Students have 24/7 access to curriculum. Students will know, even at home, how he/she did on his math program. Canvas makes them more efficient at differentiating and delivering the curriculum to the students. Canvas makes them more efficient at analyzing data. Darren Draper asked for Laundry list of how they became more efficient. Dave - not so much about where the kid is now, but how we are going to get him/her above the bar, what interventions. Every fall is a learning curve. Wasatch offers a Wasatch Back Learning Conference in fall. It is a UCET type conference. Not just tech. They do tours for other districts who want to see how they are doing their 1 - 1. 6,500 students in the Wasatch district. Wasatch has hosted legislators and other schools to observe their 1 - 1 initiative in the schools. They have one digital instructional coach in every school. AND they have a technician in each school too. They have seen improvement by assigning the IT person to the particular schools. 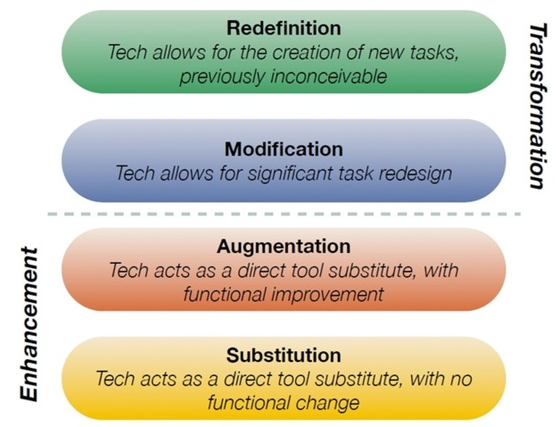 Checklist for Tech Trainers with basic tech skills every teacher needs to know. After all the teachers are trained with those basic skills, they can shift the tech trainer to where they are more needed. Every 2 weeks they have coaching PLC. Digital conversion meetings help them work together and learn from each other's experiences and expertise. Tech director, tech people, instructional coaches got to those meetings. They did this for several hours every week. Now they have gotten so much more efficient and accomodated to the tech that they only do that Digital conversion once per week. Wasatch does have at least these three district initiative Digital Conversion, Dual Immersion, PLC. Wasatch uses Digits, (Pearson), for math in the middle schools and Imersion (Pearson) in Elementary. They follow the Jim Knight coaching philosophy. 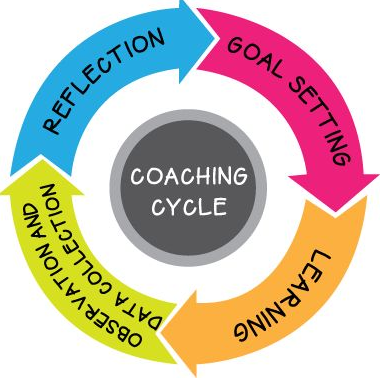 Instructional Coaching Group Jim Knight Radical Learners Paul Marzano Wasatch has a goal for every coach to seek out another coach to observe and be observed by. Data drives - meetings 1 X per quarter. Coaching helps teachers see things in a new way, shifts their perspective. UEN - Pioneer Library is changing their name at the end of February. UEN will be doing some library trainings and in schools. UEN is exporting their courses to Canvas Commons. UEN can allow you to teach their courses in your district and UEN will handle the registration. UEN is starting their new Flex courses. Participants attend in person for one day then finish the rest of the course online. That first day can be about learning to use Canvas. Register for UCET - $60.00 for two days of AWESOME! If you want to register for the board we are taking applications. 4 spaces open! USOE - The hope is that the whole state will have more opportunities to implement very similar programs in other districts. House Bill 277 sponsored by Representative Knotwell, Personalized Learning and Teaching Ammendments. The goal is to have the first reading of the master plan next month and have the bill passed in April. Funding, Task Force, Transforming the way that teaching is delivered. Legislators seem to agree that we need to prepare for the future and the future is here. Qualifying grant program. They talked about it at the legislature this morning and people seemed to have fairly positive thoughts. UEN's Network - Growth of use of tech in schools is increasing but funding has not increased. Technology Report - You can look up the reports by districts and by charter schools. We are going to have to add capacity every year. Legislature is basing everything on projected money. At the end of February they will be adjusting that because we will really know how much money there is rather than PROJECTED Funds.